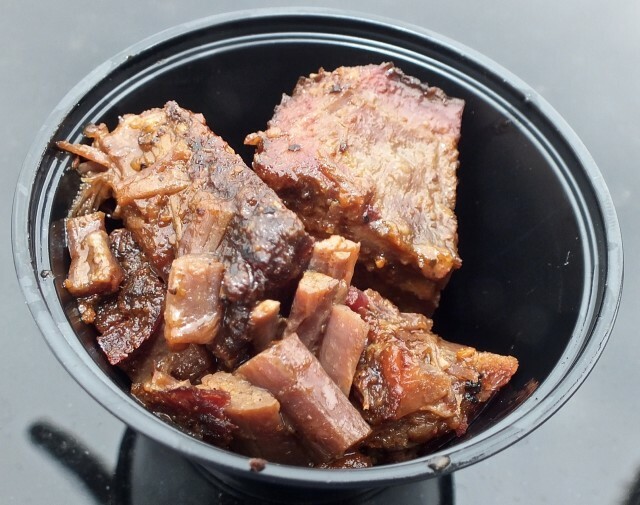 Brisket sample. Photo by Ed Simon for The Los Angeles Beat. Moe Cason with BGE's. Photo courtesy of Moe Cason.